With the digital disruption of business models and whole industries, business executives and process owners are faced with a variety of transformation challenges. The need and pressure to deliver and demonstrate improved performance metrics, transparency and collaboration are greater than ever. In this environment, the importance of management frameworks which can be extended and integrated across business processes and projects cannot be overstated. 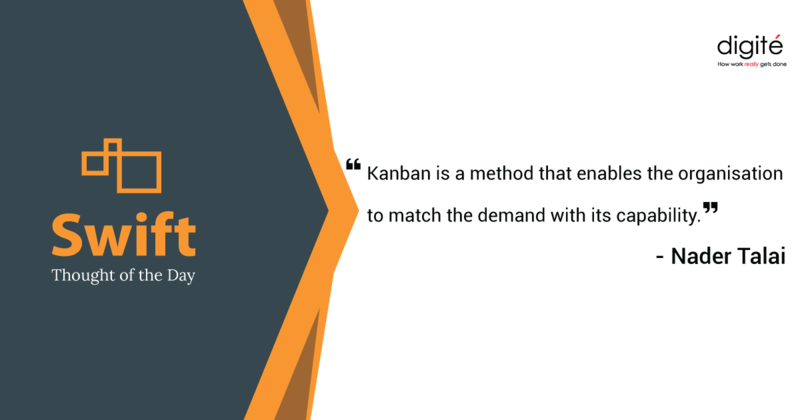 The Kanban method offers a good option, but frequently gets limited to specific project teams or departmental services. Often for good reason. A typical environment has various teams working with their different tools and solutions, failing to provide a global perspective of their place in the overall system. In such cases, driving organization-wide transformation can be achieved only through meaningful integration of these disparate systems, allowing stakeholders at higher portfolio levels to get improved visibility of the “big picture”. The need for an integrated management framework as an essential for mile-stoning and managing transformation. The merits of a Kanban visual integration layer, and necessary product features to deliver on this integration. The difficulties and potential pitfalls of integration, and possible mitigations and examples. A transformation approach using an enterprise services view, using meaningful visual cues and meaningful analytics. In most real-world scenarios that we engage with, the bottlenecks can be distilled down to two areas, neither of which are caused by oversight, but largely as a consequence of natural progression. Every function, process or project uses its own tools, for recording, tracking, reporting and/or managing their work. Some of these are point solutions, while others could span functions and processes. A natural outcome from an enterprise view is that the data relating to work actions relevant to driving enterprise performance and transformations now lives in several insulated silos. It becomes difficult, if not impossible, to gain a meaningful higher-level view of health and status. While individual parts seem optimized, the system they constitute is not. Not an entirely alien circumstance, you would say. In most cases, this is a logical outcome of team or project-level investments in processes and tools – and so is almost unavoidable in many respects. A direct corollary of this phenomenon is that the strategic decision framework gets limited by the siloed views of management data that these disparate tools can produce. Mangers are forced to manage what they can measure, even if these are not the things that matter to the enterprise, to transform and to compete in an ever-globalizing market. This leads to a sub-optimal enterprise that is unable to deliver at the speed and capacity that it needs to in order to beat competition. 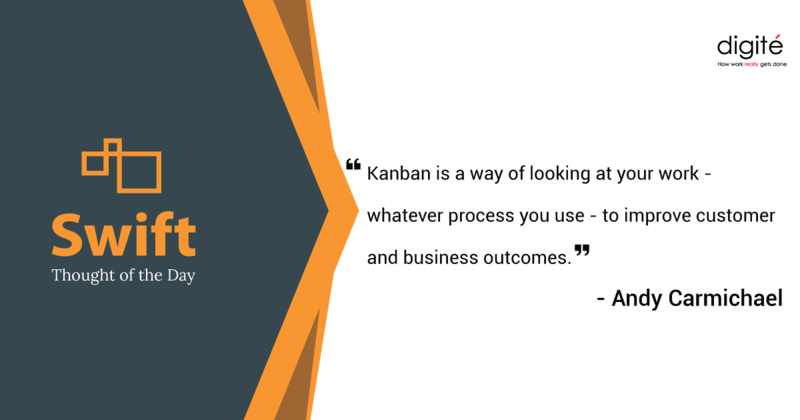 We recognise that Kanban delivers on visibility and transparency, providing easy to interpret early cues and signals, helping managers optimize workflow, reduce cycle times and “time to value”. Its basic principles enable it to be applied at any level of an organization’s workflow – strategic initiatives, portfolios, programs, projects and processes. 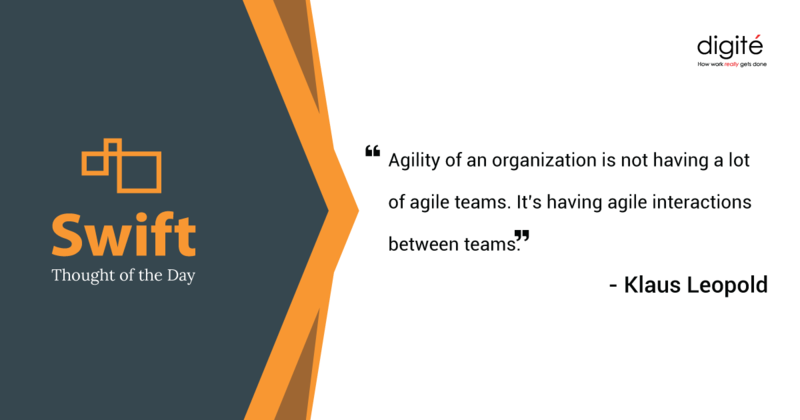 A big strength of Kanban is that it can be applied at any level of the organization, making it truly powerful in this regard. Kanban also encourages a Systems Thinking approach, strengthening the ability of the organizations to pursue global system-wide optimization, as opposed to a few local optimizations. Consider the view that in an enterprise every key process is a service, which integrates with other enterprise services within or outside its own function, with the common goal to deliver products and services to its customers, in an optimized and profitable manner. When services are aggregated at higher levels – as a Portfolio Kanban or an Enterprise Kanban, with meaningful integrations of team-level work management tools (which maybe a Kanban Board or a JIRA instance) – they provide a potent management tool for driving enterprise transformation initiatives. The term “Portfolio Kanban” is often used to describe the process of managing portfolios of projects and business services using a hierarchy of Kanban boards, to track services at different levels with ease. The hierarchical Kanban boards, each with their appropriate stakeholders, help to visually track status, with easy cues and early signals, providing the relevant level of detail in near real time. Portfolio Kanban is the solution with potential to elegantly eliminate the big bottleneck, helping transform the enterprise to a globally-optimized services delivery capability. The need for an integrated management framework, which supports transformation taking a system-wide view, is undisputed. There is a way forward and we have been investing in it, working closely with some of the largest enterprises in the world. In the next blogpost in the series, we will examine what it takes to build a fit-for-purpose Portfolio Kanban, to gain a comprehensive view – without re-inventing or replacing existing tools and solutions.